Are you ready for Halloween? ....Are your pets? Some pets do wonderfully with the holiday, from costumes to trick or treaters and more. Other pets, though, think it's the scariest time of the year - and not in the fun way their owners enjoy. While a little scary fun is, well, fun for most of us, our pets don't get it. They don't think scary is fun, and if they're scared by Halloween activities, then they're just plain scared. None of us wants our best fur-friends to be unhappy, so it's important to make sure your pets are prepared for the holiday, as well - even if it means making them their own room away from all the "fun." 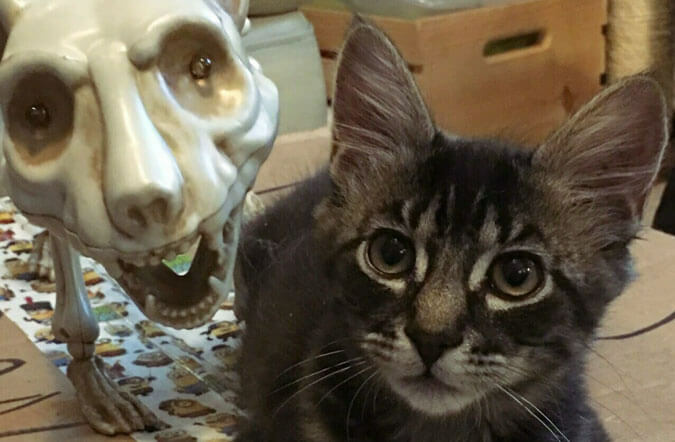 Try out some of these tips from fearfreehappyhomes.com, and keep your pets from howling (or mewling) at the moon this Halloween!